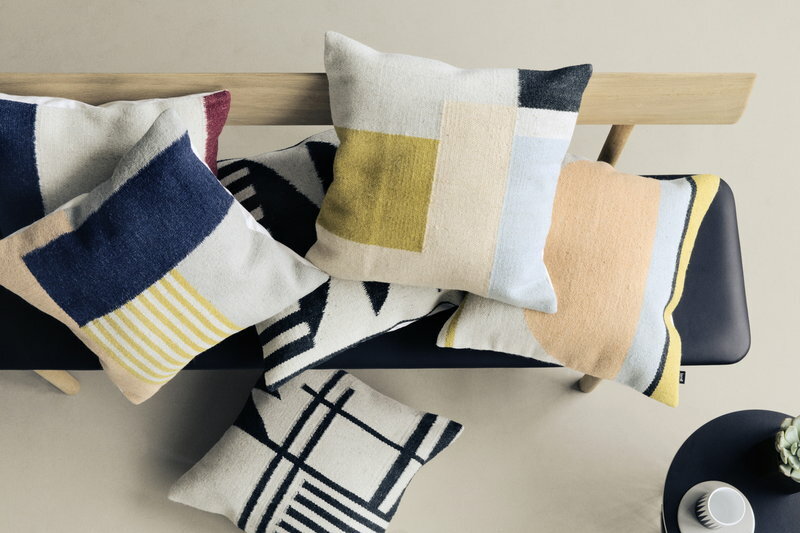 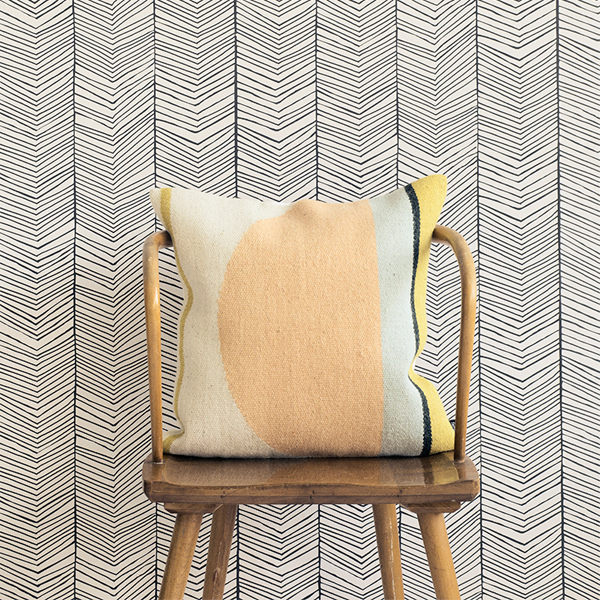 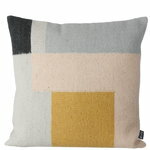 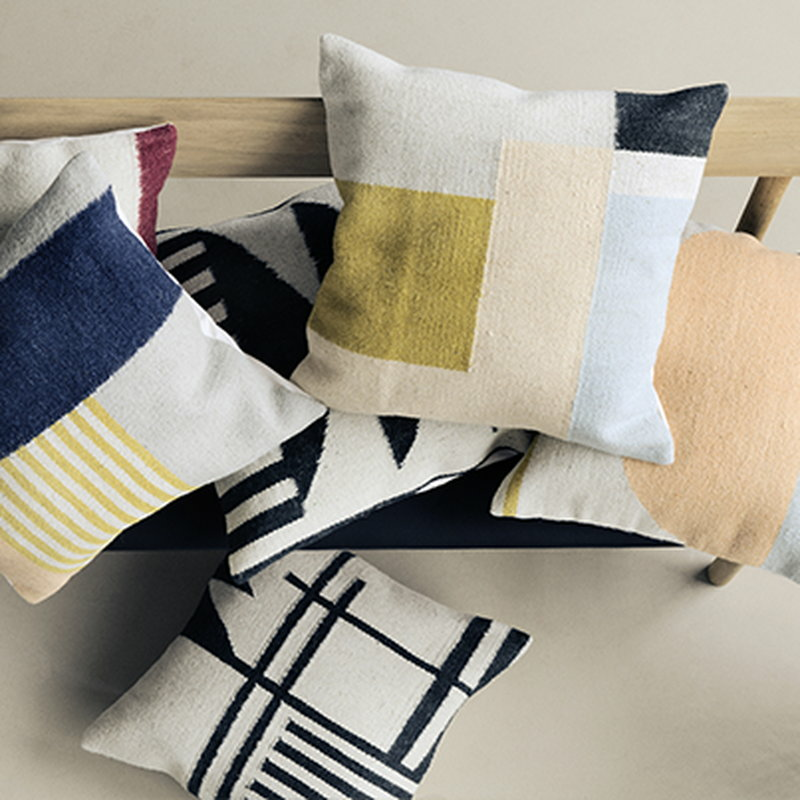 Kelim cushions by Ferm Living are characterized by a raw, organic touch and graphic patterns that match together beautifully. 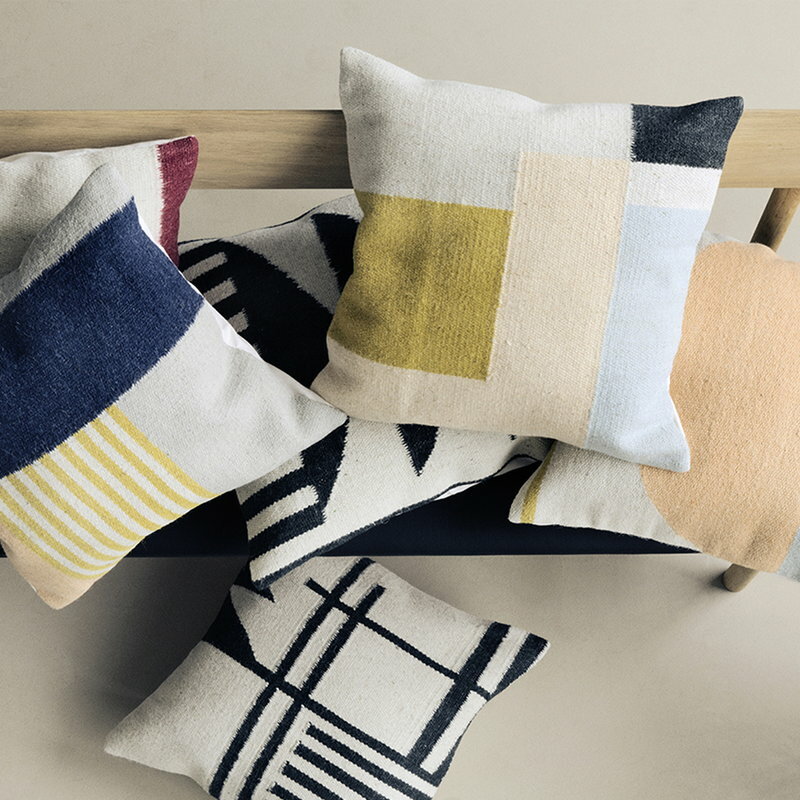 Kelim cushions are unique individuals since they are made by hand with a traditional weaving technique. Also, the hand-dyed wool yarn creates slight variation in the hue and texture of each cushion. 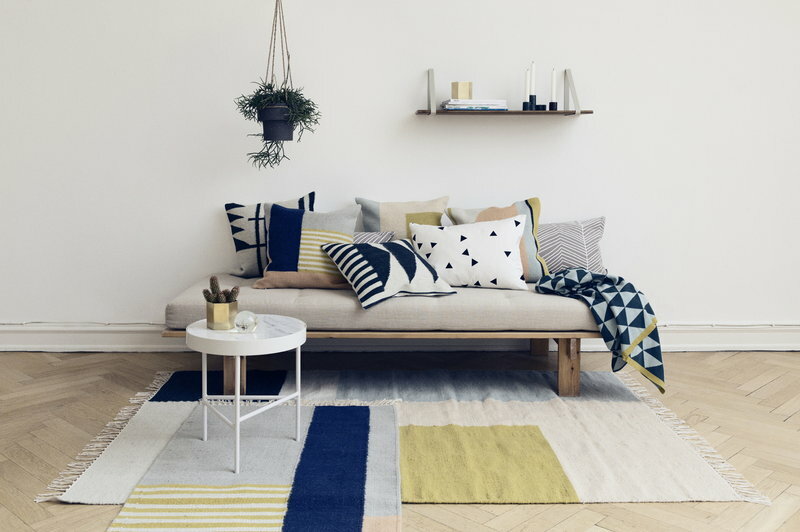 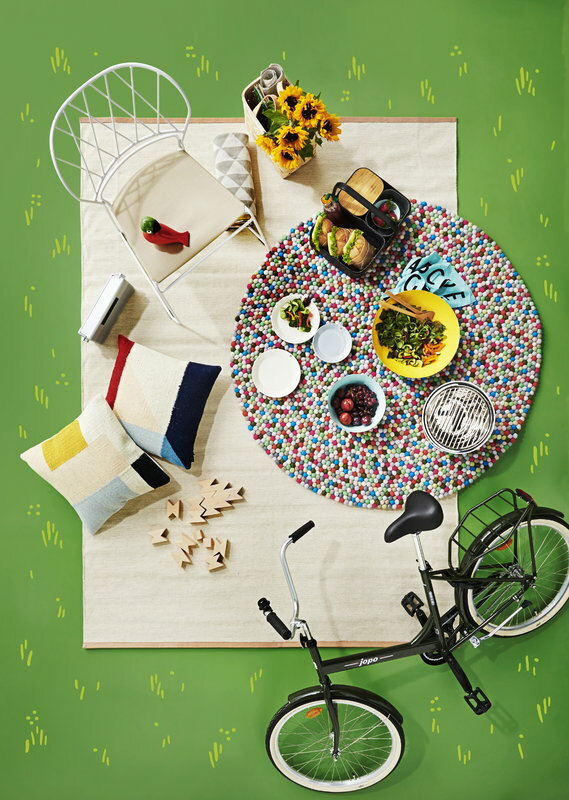 Ferm Living’s supplier holds the Woolmark licence, which is a guarantee of high-quality wool.